CryptoCurrency EXchange http://C-CEX.com 100+ coins, USD trading, fastest deposits and withdrawals, strong security, excellent realtime support. "More than 180 cryptocurrencies available." I like C-cex because it allows me to exchange more than 180 cryptocurrencies, it also has API support, it offers a commercial solution and accepts fiat coins to exchange which is very convenient, in security it offers 2FA and offers a really low rate for transactions, it also has a very large community. C-cex has had security problems in the past and many users don't forget it, I never had major problems with this platform but customer service is very bad. It seems to me that C-cex is a very good option to consider when trading with cryptocurrencies and get an excellent return. C-cex is one of my main exchange platforms because it allows me to buy cryptocurrencies with fiat money, it is a powerful and useful platform with low fees and fast transactions. "Deposits and withdrawals are free"
C-Cex is an exchange that supports more than 180 cryptocurrencies, some of which have very low volume, the site is very fast and with a good design on both desk and mobile, deposits and withdrawals are free, has a large community that is very helpful. I don't like customer service, if they didn't have a large community there would be serious problems. I have seen some negative reviews about C-Cex but I have never suffered any problem with this platform, for me it is one of the safest and fastest exchanges that exist today in the cryptocurrencies market. C-Cex is a different exchange because of the amount of cryptos it offers, one encounters dark or unknown coins that often have large price variations which makes them more attractive and profitable. "A clean and sensitive interface"
C-Cex is an excellent trading platform that offers crypto-crypto and fiat-crypto trading, more than 180 currency pairs, 2-factor authentication, a clean and sensitive interface, a very functional API for automatic processes, a merchant solution and fees of only 0.2% fee per trade. Their customer service is very bad, they have taken more than 30 days to respond to a simple question. C-Cex is an exchange that allows you to purchase digital assets with U.S. dollars through multiple payment processors, is easy to use and secure. C-Cex is at the forefront because it offers competitive fess and a good amount of high and low volume digital currencies, it is a very profitable and secure platform. "Gives me access to new and rare digital currencies"
C-Cex is an exchange that offers me a long list of cryptocurrecies to trade fiat money, gives me access to new and rare digital currencies, I have obtained many benefits from this platform, offers 2-factor authentication and fast transactions. I have never had problems with this platform, I have traded regularly and it has always offered me an excellent service. The best thing about this trading platform is the variety of currencies that can be traded, plus it accepts fiat currencies. It gives me access to very profitable and unstable currencies, a series of interactive graphics that help me identify and study them, my clients are very satisfied with the result. "Wthdrawals and deposits do not pay fees." C-Cex is excellent because it offers more than 180 cryptocurrencies for trading, accepts fiduciary currencies, supports API and 2-factor authentication, C-cex is an exchange that adds uncommon currencies, the fees charged per transaction are low, only 0.2% and withdrawals and deposits do not pay fees. I've never had any problems, transactions are always fast and secure, it's one of the best exchanges I know. It is a very safe and economical exchange to trade in digital currencies. It allows me to offer my clients a wide variety of new and profitable cryptocurrencies, it is very easy to trade with these coins because they are more predictable than the most common coins. "Allows trading with fiduciary money"
Since I started trading on C-Cex I haven't known a better one, it's easy to use, supports API, 2-factor authentication, free deposits and withdrawals, allows trading with fiduciary money and gives me the ability to access new, low volume and unknown currencies. Sometimes there are delays in withdrawals, but it's not something that happens commonly. C-Cex is a versatile and secure platform that offers a good list of cryptocurrencies, is a very good option to trade and make profits. In my job I must have access to different digital assets and C-Cex allows me to trade with more than 150 cryptocurrecies, I have made big profits trading on this platform. "Only 0.2% per trade, deposits and withdrawals are free." C-Cex is an amazing exchange because it offers more than 180 cryptocurrecies to trade, many of these currencies are not very common or are almost unknown at a very low fee, only 0.2% per trade while deposits and withdrawals are free, has a very large and active community. You don't have a good customer service, you have to go to the community where other users help. C-cex is a reliable and very versatile exchange, it is very useful for beginners as well as experts. It helps me a lot in my work by allowing me to deposit dollars and be able to trade a wide list of digital currencies. "Is the most complete exchange I know." C-Cex is the most complete exchange I know, it allows me to deposit fiat money with a long list of payment processors, something that in other exchanges is more limited, you can trade with more than 185 cryptocurrencies, offers 2-factor authentication and interactive graphics to analyze the evolution of currencies. The only problem with this exchange platform is its poor customer support. It is an exchange that has great features that make it much better than its competitors, in deposits and withdrawals does not charge fees. C-Cex allows me to access a large number of cryptocurrencies through fiat money quickly and easily, plus it charges quite low fees. "Offers an API that can be programmed to make automatic transactions"
I like C-Cex because it allows me to trade with more than 150 cryptocurrencies, this expands the options available in my portfolios, offers an API that can be programmed to make automatic transactions, different types of interactive graphics for technical analysis of currencies, authentication of 2 factors and obscure currencies. C-Cex has some delays in deposits and withdrawals but they are not frequent. It is a safe and easy to use exchange, has a long list of cryptocurrencies available to trade and accepts fiat money. It allows me to trade with many cryptomonedas, even very low volume currencies that are the ones that interest me the most. "Allows you to trade a lot of cryptocurrencies"
C-Cex is an exchange and wallet platform that allows you to trade a lot of cryptocurrencies, accepts fiat currencies, has a great API, fees are low and also has 2FA authentication. The customer support never gives signs of life, even I do not know if it exists, plus there are some delays when you deposit. While C-Cex has had security issues in the past and has earned many bad reviews, I believe it has improved its security and privacy, only customer service would need to be improved. C-cex allows me to access more than 180 cryptocurrencies which allows me to diversify my investments and optimize my profits. "Has a wide variety of payment processors"
C-Cex is the best exchange I have ever used, it allows me access to more than 180 cryptocurrencies with fiat money, it has a wide variety of payment processors which makes it much easier to deposit, it offers some obscure and rare coins that if you know how to take advantage give a great return. It does not have a customer support that really meets the needs of the user. It is very easy to use even for beginners and offers a variety of analysis tools for experts, highly recommended. It is an excellent platform that offers many options to streamline investments and improve permformance. "A fast and reliable exchange"
C-Cex is an impressive exchange, has more than 150mil users and offers more than 180 cryptocurrecies, many of them new, offers an API that allows you to create automated trading systems, 2-factor authentication and only charges fees for operations, deposits and withdrawals are free. Customer support is a nightmare, they always answer late when no one needs them anymore. It is easy to use and offers access to the newest digital currencies on the market, an excellent exchange. It is an exchange that offers a huge list of cryptocurrecies and allows me to diversify my investments and those of my clients to obtain maximum profitability. "Charges fees in operations of only 0.2%." It is a very good exchange because it offers the possibility to trade with more than 175 cryptocurrencies, a marchant solution, fiat trading, 2-factor authentication (2FA), deposits, withdrawals and additional services are free, has a very functional API, charges fees in operations of only 0.2%. I have never had problems with C-Cex, deposits, withdrawals and transactions without delay. It is a great choice for its diversity and security among so many new exchanges and with little reputation that have arisen. It has a wide variety of cryptocurrencies, an acceptable rate and the ability to trade fiat currencies, plus it drives low volume digital currencies. "Very good wallet and exchange "
C-cex is a very good wallet service and exchange of cryptocurrencies online, in addition to BTC you can buy and sell more than 185 cryptocurrencies, has an API that allows you to use almost all functions, charges low fees on every transaction, is very convenient. They don't have customer support, which is a problem because the page is hard for newbies to understand. I recommend to try it, it is very useful because of its versatility and the amount of Altcoins it offers. It allows me to buy and sell different cryptocurrencies, it also has a very informative platform that allows you to track quotes. "Secure platform that offers 2-factor authentication"
C-Cex is one of the best exchanges there is for its great offer of cryptocurrencies (more than 185) and the option to trade with U.S. dollars, is a secure platform that offers 2-factor authentication, a sensitive design and a very low rate. They have pretty bad customer support, take a long time to answer inquiries. It is easy to use and offers many cryptocurrencies a great option for both experts and beginners. It allows me to trade with an extensive list of cryptos at a low price, you get very good profits if you study the currencies offered by this platform. 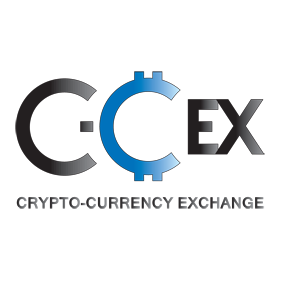 "Offers more than 180 cryptocurrecies and fiat currencies"
C-Cex is an exchange that offers more than 180 cryptocurrecies, a solution for the merchant, supports API and receives fiat currencies, also has 2-factor authentication, only charges fees for 0.2% oerations, withdrawals and deposits are free. He has had many criticisms regarding security and fraud but my experience with C-cex was always normal. It is a great exchange that despite a negative campaign against it continues to operate and remains one of the best. It allows me to access new currencies and btc with fiat currencies, on the subject of fees is the best and in security I never had a complaint. "Good tool to exchange currencies"
It is a good exchange that helps a lot when I have to exchange fiat currencies for BTC, I like it because it offers more than 180 pairs to trade and a relatively low transaction fee and in security supports 2FA, I have achieved very good gains for me and my clients from the C-cex platform and it is among my main exchange sites. I've read a lot of criticisms about the security of C-cex but it's never given me any problems, the transactions have always been quick and without surprises, although they should improve customer service. It is a platform that can be very useful because it accepts fiat money although it lacks other payment processors, I recommend C-cex. It is a complement in my small business, offers solutions for merchants offers a lot of cryptocurrencies. I love C-Cex a very friendly and useful platform to trade with digital assets, has very low volume currencies and high instability, offers more than 180 cryptocurrencies, relatively low commissions, an API that allows to build automated high frequency trading systems. It has a horrible customer support and no matter how many complaints the users express this has never changed. Despite bad comments about its security I can attest that it is a serious, profitable and safe platform. Alows me to access cryptocurrecies almost unknown and new, these coins are usually the most profitable because of their volatility. "Has a very simple and functional API"
C-Cex is a great exchange that offers more than 185 cryptocurrencies to trade, accepts FIAT currencies, has a very simple and functional API, 2-factor authentication, many low volume and little known currencies, these are the best to speculate because they are quite unstable. Sometimes withdrawals are delayed and customer service does not respond. It is a safe, fast exchange with many options and tools to achieve good results. In C-Cex I can trade more than 180 currency pairs, even dark currencies which allows me to get a good return without much effort and analysis. "A great variety of digital assets available to trade"
C-Cex is an exchange with a great variety of digital assets available to trade, it accepts fiat currencies, 2-factor authentication, more than 180 cryptos and a clean and intuitive interface. Withdrawals and deposits are sometimes delayed, but not often. C-Cex is an exchange of the best, has low rates, variety of currencies and payment processors and good liquidity. C-Cex allows me access to cryptomonedas little known and very profitable, is a very versatile exchanges and offers multiple payment processors, through your platform I can diversify my portfolio and that of my clients regularly. "A very versatile exchange with a long list of high and low volume cryptocurrecies available." C-Cex is a very versatile exchange with a long list of high and low volume cryptocurrecies available, accepts fiduciary currencies, offers 2-factor authentication, relatively low commissions, only 0.2% and accepts various payment processors. Its customer service never responds to the concerns of users, fortunately it has a large and supportive community. Despite unfounded criticisms it is a robust, safe, agile and easy to use exchange. It is an exchange that accepts several payment processors to trade with cryptocurrecies, allows me access to more than 180 cryptos to trade. "Has more than 189 pairs for trading"
It is a good exchange platform supports many low-volume currencies, supports API and allows to exchange fiat x crypto, has more than 189 pairs for trading, has 2-factor authentication and transactions are fast with a fee of 0.2%. Customer service is non-existent and sometimes the server shows no activity. It is a good platform that allows fast exchanges between fiat and cryptocurrencies. C-cex gives me access to more than 180 cryptocurrencies and offers a merchant solution. "A long list of digital assets available to trade"
It is a platform that offers versatility to trade with cryptodivisas, has a long list of digital assets available to trade, accepts trust money, has a wallet service with 2-factor authentication, free deposits and withdrawals and low fees. Customer support never gives signals of existence, one can send multiple tickets and get no response. It is a reliable and secure exchange, with multiple deposit options and cryptocurrencies available. It allows me to make deposits in U.S. dollars through Perfect Money and as I have some foreign customers they sometimes make payments with Payeer. C-cex is an online cryptocurrency exchange, has more than 200 thousand users and allows to exchange more than 180 cryptocurrencies, is very secure supports two factor authentication (2FA) and charges low fees. Accepts many cards but lack payment processors such as Paypal, no support help. I recommend it because it has a great variety of cryptocurrencies to exchange. It's a great platform where you can sell and buy the most diverse cryptocurrencies easily and quickly. "better support for more various cryptocurrencies wallets"
customized panel that we can see last price of favorite coins that we select an coin, The panel displays the balance distribution. Connect directly to Various Financial payment networks to buy cryptocurrencies with any credit cards. * We monitor all C-Cex reviews to prevent fraudulent reviews and keep review quality high. We do not post reviews by company employees or direct competitors. Validated reviews require the user to submit a screenshot of the product containing their user ID, in order to verify a user is an actual user of the product. Hi there! Are you looking to implement a solution like C-Cex?